Plovdiv (Bulgarie: Пловдив) is the seicont-lairgest ceety in Bulgarie wi a population o 381,738. Plovdiv's history spans some 6,000 years, wi traces o a Neolithic dounset datin tae roughly 4000 BC. It is the admeenistrative centre o Plovdiv Province in soothren Bulgarie an three municipalities (Plovdiv, Maritsa an Rodopi) an Bulgarie's Yuzhen tsentralen plannin region (NUTS II), as well as the lairgest an maist important ceety in Northren Thrace an the braider internaitional historical region o Thrace. The ceety is an important economic, transport, cultural an eddicational centre. Kent in the Wast for maist o its history bi the Greek name Philippopolis, it wis oreeginally a Thracian dounset afore becomin a major Roman ceety. In the Middle Ages, it retained its strategic regional importance, chyngin haunds atween the Byzantine an Bulgarian Empires. It came unner Ottoman rule in the 14t century. 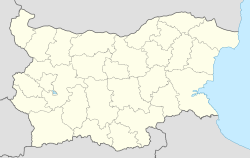 In 1878, Plovdiv wis made the caipital o the autonomous Ottoman region o Eastren Rumelie; in 1885, it became pairt o Bulgarie wi the unification o that region an the Principality o Bulgarie. Plovdiv is situatit in the soothren pairt o the Plovdiv Plain on the twa banks o the Maritsa River. The ceety haes historically developed on seiven syenite hills, some o whilk are 250 m (820.21 ft) heich. Acause o thir seiven hills, Plovdiv is aften referred tae in Bulgarie as "the Ceety o the Seiven Hills". Plovdiv is host tae economic an cultural events sicna the International Fair Plovdiv, the internaitional theatrical festival "A stage on a crossroad", the TV festival "The golden chest". Thare are mony remains preserved frae Antiquity sicna the Auncient amphitheatre, Roman odeon, Roman Stadium, the airchaeological complex Eirene an ithers. Plovdiv wis gien various names throughoot its lang history. It wis oreeginally a Thracian dounset bi the name o Eumolpias. Philip II o Macedon conquered the aurie in 342-341 BC an renamed the ceety Philippoupolis (Greek: Φιλιππούπολις), o whilk the later Thracian name for the ceety, Pulpudeva, is a translation. Efter the Romans teuk control o the aurie, the ceety wis named Laitin: Trimontium, meanin the Three Hills. Durin the Middle Ages the ceety wis kent as Philippoupolis in Byzantine Greek an Paldin (Пълдин) or Plavdiv (Плъвдив) in Auld Bulgarie, variations o the toun's earlier Thracian name. The ceety wis kent as Philippopolis in Wastren Europe well intae the early 20t century. The ceety wis kent as Filibe in Turkis durin the Ottoman Empire. The asteroid (minor planet) 3860 Plovdiv is named efter the ceety. It wis discovered bi the Bulgarian astronomer Violeta G. Ivanova on 8 August 1986. Plovdiv Peak (1,040 m/3,412 ft) on Livingston Island in the Sooth Shetland Islands, Antarctica is an aa named efter Plovdiv. ↑ "Население към 31.12.2012 година в област Пловдив". Nsi.bg. Retrieved 3 July 2011. ↑ "General Directorate of Citizens' Registration and Administrative Services: Population Chart by permanent and temporary address (for provinces and municipalities) as of 15 September 2010, (Bulgarie). Retrieved on 17 September 2010". Retrieved 7 January 2011. Wikimedia Commons haes media relatit tae Plovdiv.